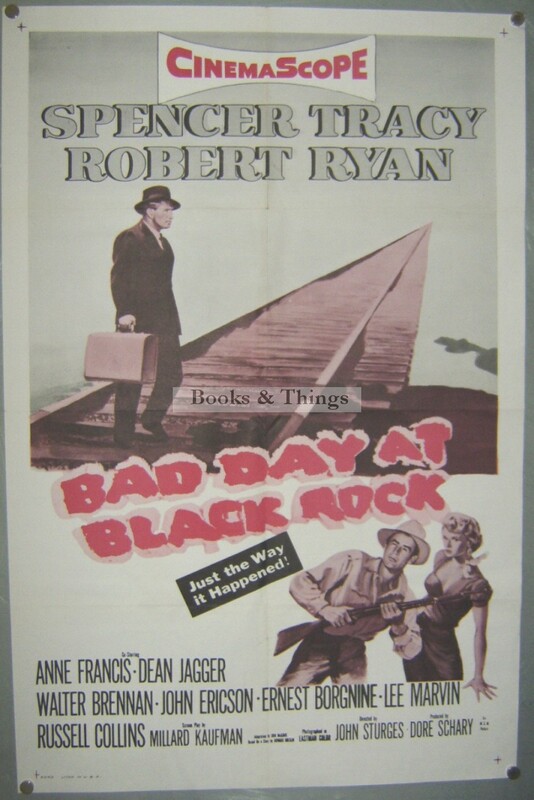 Bad Day at Black Rock: This 2-colour printing would appear to be a re-issue as the original has more colour in it and does not list the supporting cast. 104 x 68cms (41 x 27 inches). Printed in USA. Folds. Category: Film Posters. Tags: Bad Day at Black Rock cinema poster, Bad Day at Black Rock film poster, Bad Day at Black Rock movie poster, Bad Day at Black Rock poster.